When you are planning trips to Shirdi, you will never be short of means to make it great. However, getting cars or taxis on rent would make things rather comfortable. Whether you’re a tourist or local resident, Allied car rentals would be the best answer for Pune to Shirdi cab booking. There are always options to drive to a place buts getting driven is a different pleasure. Enjoying views from the windows sitting on the back seat will let you have some time entirely filled with enchantment. We come up with a wide range of vehicle selection in order to meet your requirements well. There are different outstation taxi services that can be taken. We avail Pune to Shirdi cab booking online and offline whichever more preferable for you. We bring you all you need including comfort and quality at the most reasonable prices. It would be suitable to haggle to cab at the cheapest fares when you’re moving for the shortest trips. You may find a perfect Pune to Shirdi cab package with Allied car rentals. Road trips are always fun and this is just enough to let you quit the idea of traveling via trains or buses. You can plan things in the manner you prefer. You may keep it cool or turn it to be luxurious. Our well maintained, clean and comfortable cars would always serve you the best. We take over the responsibility of a safe and worthwhile journey as soon as you make a call on us for required services. Since the Pune to Shirdi cab services, you will experience where we actually excel. In terms of experience, punctuality, and reliability you would surely rate us well. Why are we reliable for Pune to Shirdi Cab? At Allied car rentals we value your expectations from us and integrate the best of our efforts to meet them well. Our Pune to Shirdi taxi drop services is rendered by experienced and highly trained staff that ensures perfect delivery of desired services. We are up with everything that can implement the beautiful trip plans you have thought about. When you are set for exploring a place, our drivers will never give a second thought to taking an extra mile to make things look better than you planned. Also, they will take you through the best destinations you may like and that would make the best of your time. 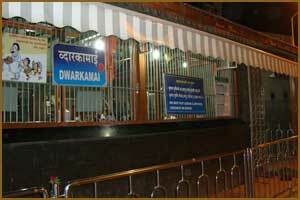 All popular Landmarks of Shirdi and around will be covered well within the set duration. Our packages are set with reasonable places to eat and relax. Therefore, you’d be perfectly helped against overrated elements on your trips. You can plan for a wonderful day out and expect absolutely satisfying experiences. All of them would differ in terms of distance and other itineraries. Pune to Shirdi taxi fare would, therefore, be determined according to the routes you take up. Car Kilometer reading will start from our office and will close at our office. Toll and Parking Charges and border entry or Police entry if require are to be paid by the Customers as per actual. Minimum charge of vehicle for outstation will be 300 Kms Average per day. In other words, if vehicle used for two days and but the actual running 450Kms, our billing will be done for 600Kms only (300 kms per day x 2) i.e , minimum daily average into number of days used or actual usage, whichever is higher. Outstation driver Allowance is applicable Rs 300 per day. Vehicles booked for Out station cannot use the car for local use in Pune or Mumbai if they have local use the local charge will be extra. In case you return after 12 midnight per hour Rs 150 Extra will be charged and if its more than 2 hours your will be charged for the next day trip also for 300 kms charge. Preponement or postponement of the booking will be treated as cancellation only. Cancellation charges will be deducted from advanced paid, while refunding balance amount. Contact us today if you want to book a car for the next time you are in Shirdi, or if you have questions about the car hire services we provide.